← Major New Project From Efofex! The Efofex Teacher Resource Project has inspired a number of new features for our products. 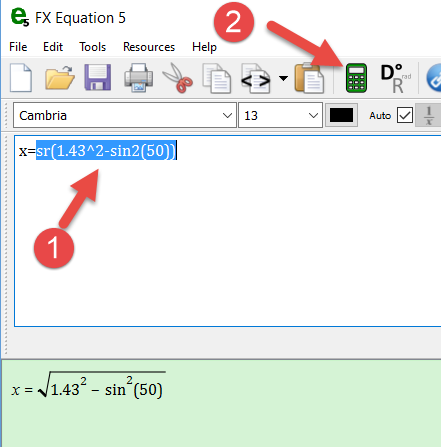 In FX Equation, we have added a new calculator button. As we were typing solutions to problems we realised that we were repeatedly reaching for a scientific calculator to calculate simple expressions and were often just retyping what was displayed on the FX Equation screen. The new calculator button removes the need for the scientific calculator. Simply select the expression that you want to simplify and then press the calculator button. 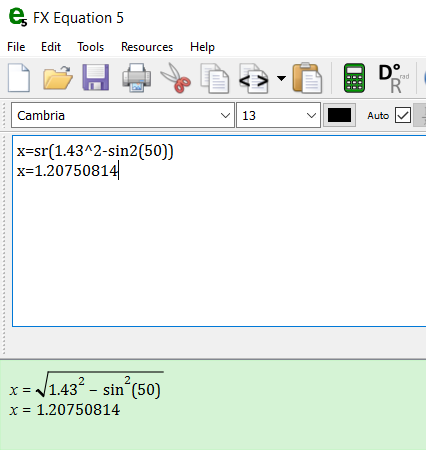 If the currently selected expression is calculable, FX Equation will simplify the expression and place the value onto the clipboard. I can then type the next line, pasting in the calculated value.